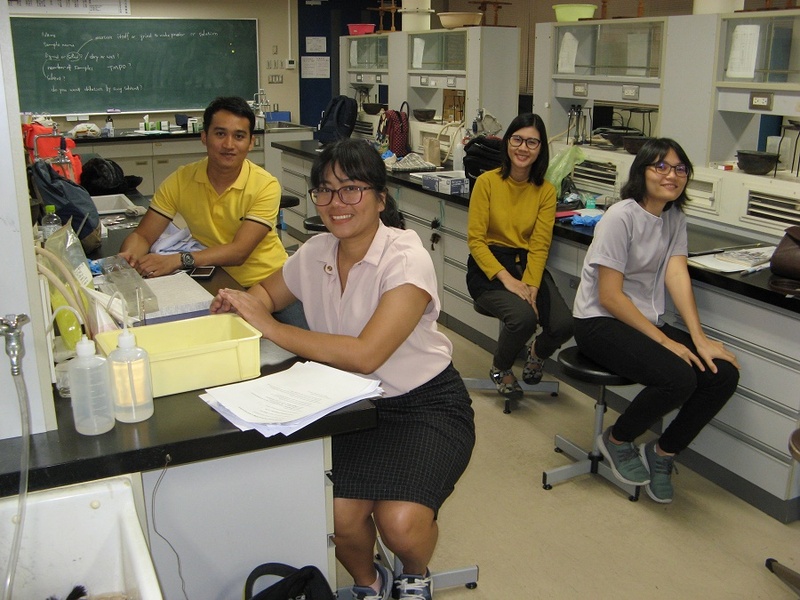 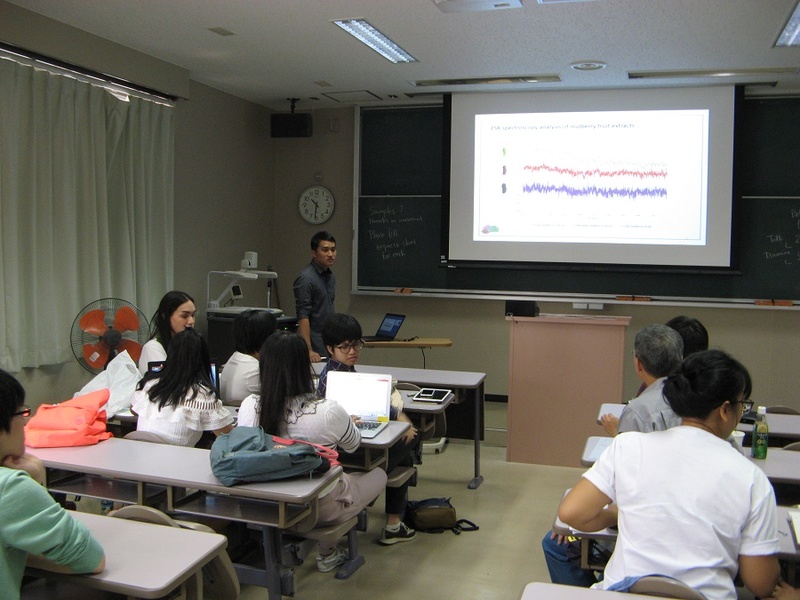 “Research exchange on reactive oxygen species scavenging activities of pigmented antioxidants using X-band and Q-band ESR spectroscopy” project was carried out with the support of the SAKURA Exchange Program in Science for ten days from September 14th to 23th in 2018. 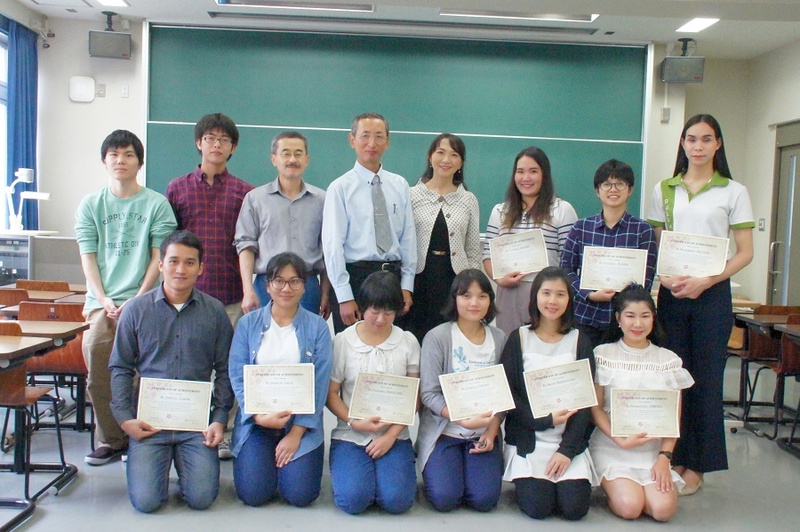 Dr. Ryo Miyamoto, a faculty member of the Faculty of Science and Technology, Dr. Kouichi Nakagawa, a faculty member of the School of Health Sciences, and the students of their laboratories welcomed nine(9) of graduate students from two partner universities in Thailand; Chiang Mai University and Khon Kaen University. 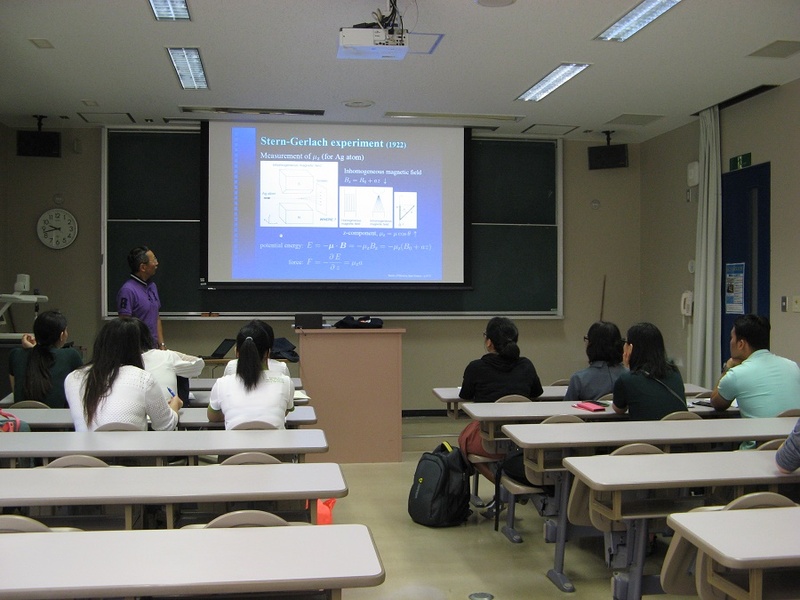 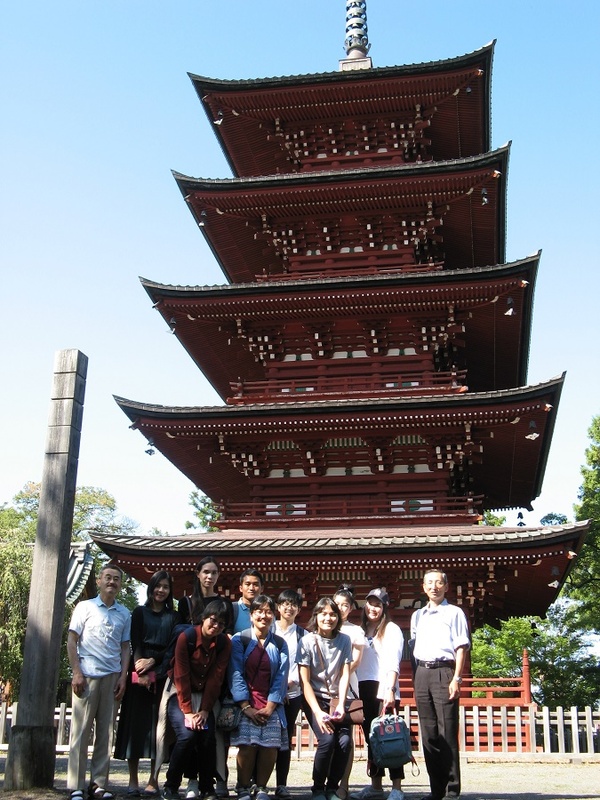 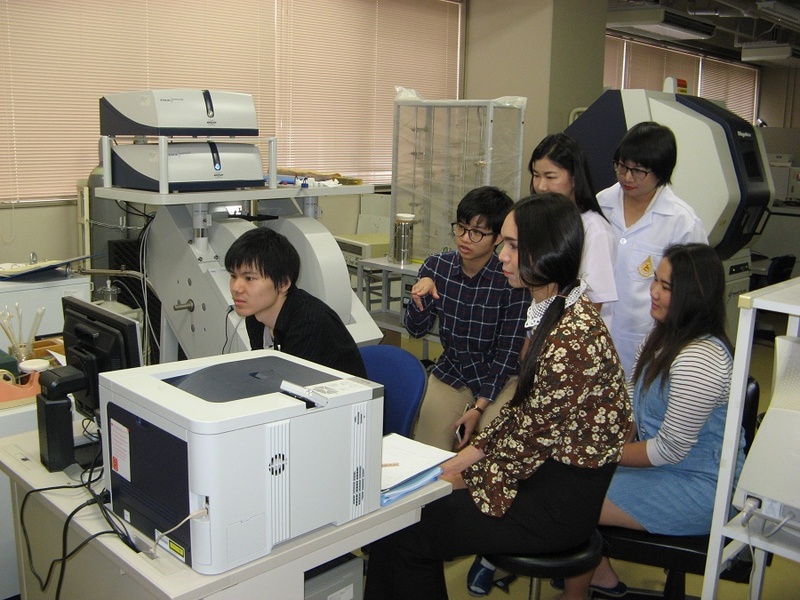 In this program, participants could study collaborative research on pigmented radical scavengers using state-of-the-art electron spin resonance (ESR) and learn magnetic resonance, and communicate with young staffs/students at Hirosaki University. 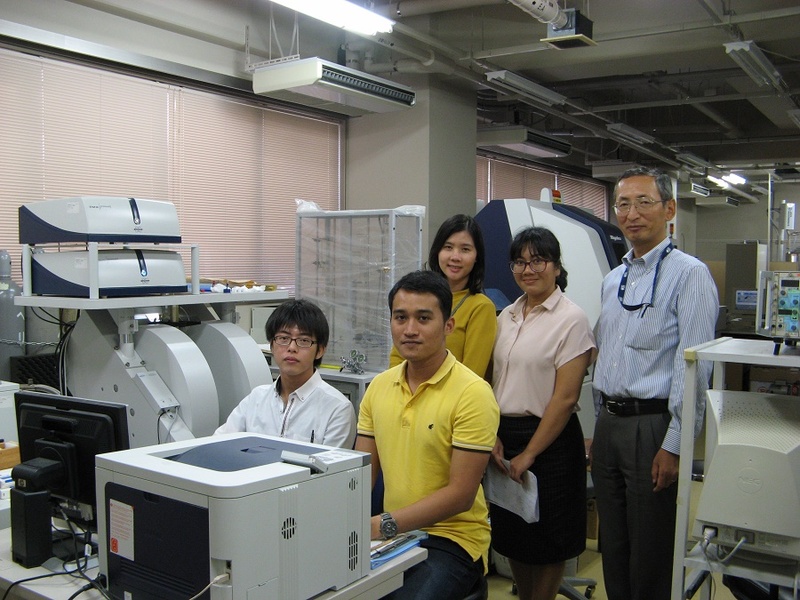 They can be expected to become a new methodology of our future research development. 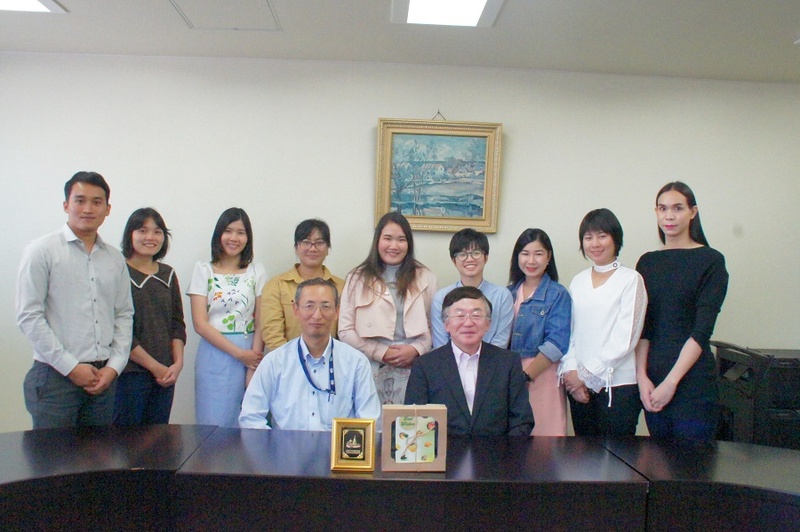 It also contributes to the development of researchers of science, technology and pharmacy in the future by conducting a wide range of research exchanges with Japanese researchers and students.